A couple of days ago I teased a little bit about my senior rep competition for this year. I am sooooooooo excited about it! For those who don't know - I lost my little brother a couple of years ago in a tragic motorcycle accident. Ever since then, I've always been sad that we have just a handful of photos together from when we were older. So, I thought this year, I would put out a call for "Senior Siblings" - Now, my brother and I were not twins, but I thought a "Twinsie" session would be fun! 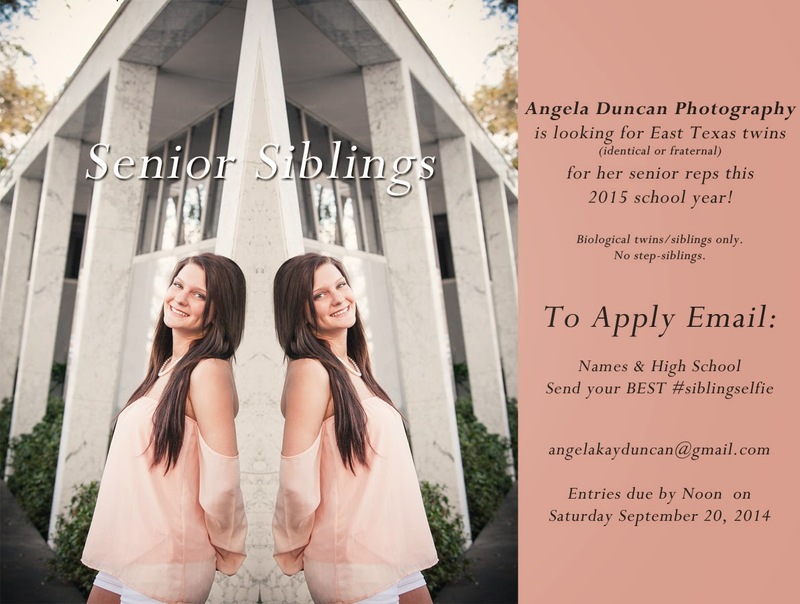 Triplets, etc are more than welcome to apply! You WILL get a confirmation email from me that your entry has be received. Entries are due by noon, Saturday, September 20, 2014. Images will be put on Facebook for voting on Tuesday, September 30, 2014. Please make sure to send your family and friends there to vote on your image!